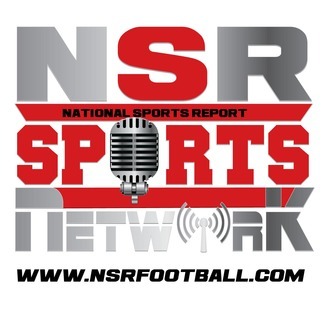 NSR Sports Radio returns with a whole new line up of daily Podcasts. 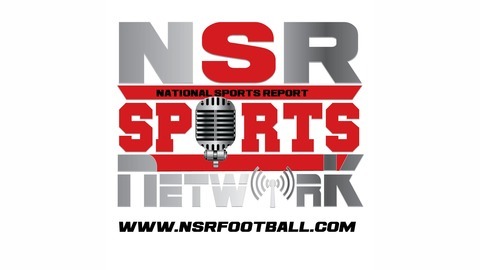 Starting this Wednesday, Feb 10 the NSR Sports Network will launch with our flagship National Sports Report Podcast. Other shows will include: - Monday : The Recruiting Roadmap Hosted by Glen Deveaux - This podcast will break down the recruiting process from A-Z as well as provide tips that will help you and your athlete ensure that you are indeed a recrutible athlete - Tuesday : The Air it out Podcast Hosted by Coach Robby Preston and ex NFL QB Akili Smith This podcast will help coached develop their passing game with step by step instructions for all coaching levels - Wednesday : The National Sports Report Hosted by Coach P and featuring David "The Duck" Riley, Akili Smith, Coach Josh, and Coach Shoshana Harvey with sportsmomonthego.com. - This is the Networks Flagship Podcast and tackles trending topics that impact all levels of the game of football. - Thursday : Voicesports Radio hosted by Wayne "The Voice" Matthews - This Podcast will feature the best of the DMV and beyond. Wayne "the Voice' Mathews is the voice of youth sports in the DMV and will soon be the premier name in youth sports broadcasting - Friday : Coaches Roundtable - This Podcast will feature coaches from around the nation sharing tip that help lead them to championships. The PLATINUM STAR AWARD is youth Football’s version of the Heisman Trophy award. This honor will be awarded to the nation’s most outstanding youth football player. There will be a winner from each grade, 6th through 8th and players will be selected based on film, coach’s comments, individual stats, G.P.A., and team and community accomplishments. Players who engage in community service and other productive activities will have a greater chance at winning the award. We believe that there is no age too young to begin the journey towards greatness. To keep the Selection process legitimate, NSR has put together an 11 person, Platinum Star selection committee, with a combined 150 years of coaching and football experience. These football professionals will evaluate the talent and vote for the winner. We also get the fans involved in the process with our social media fan vote. This process allows the fans to Vote via Facebook, Twitter, Instagram, and other social media outlets making the selection process interactive for the fans. The National Sports Report will travel to the Cities of the winners to present the winners with the most prestigious award in youth sports in their own backyard. Hundreds of Athletes get nominated annually, but the 3 winners, voted by our committee and the fans, must be a winner on and off the playing field. The purpose of this tour is to spread the word about NSR and our promotional partners on an intimate yet effective level while reinforcing our dedication to the development of our youth.